There are still some fundamental SoC limitations - such as the single USB port - that can't be 'worked around' very easily (or even at all). Finally, there is the 'biggie' - the lack of any GPU programming capability (no, it will never support CUDA) - that has really held back the Pi. For the first 2 years, all access to the GPU was via a closed source binary 'blob'. So, instead of a providing a programmable and (potentially) powerful parallel processing engine (24 GFlops is claimed), the Pi GPU could only be used to play movies and games. All your code had to run on the obsolete single core ARM v6 CPU running at less than 1 GHz (so less processing power than the chip in any half-modern 'smart' phone or tablet). It was not until Feb 28 2014 that Broadcom released the VideoCore IV (Pi GPU) OpenGL source code for OpenGL ES 1.1 and 2.0 plus driver stack for the VideoCore� IV along with the register definitions, although a 'binary blob' still exists for MPEG/h.264 (for Licence/DRM reasons), however it's a typical case of 'too little too late'. During those '2 lost years', the 'average' programmer (and that includes high school kids) has been lured to the money making opportunities of the Tablet 'App' and the 'power programmer' to CUDA. Of much more significance is the Pi Zero. Although released in Nov 2015 is only became generally available in July 2016 and even then it was still being sold on a restricted 'one per customer' basis. However by mid 2016 the Pi Zero had been upgraded to support the camera (CSI) socket and, for almost all projects the Zero replaces every other Pi (except the B3) with the sole exception of those needing the display (DSI) socket. It small size makes it much easier to incorporate into a project that any other Pi (as does the ability to solder your 'power in' wires direct to the GPIO header 'holes') and whilst the Zero uses the same ARM v6 CPU as the original Pi's, it runs this at 1GHz by default (the original A/A+/B/B+ defaulted to 700MHz) and has 512Mb RAM (same as A+/B/B+). More than anything else, it's the Pi Zero price (£4 'headline', £6.50 real world purchase = but still 1/3rd the price of the A+) that means it will be used in every new DIY project that needs any sort of computing power at all. Indeed, the Pi Zero is so revolutionary that I dedicate a whole page to it. The only 'direct connection'** supported is USB .... but to support the 'old' style keyboard/mouse, a 'PS2' connection would be required ! If you shop around, you can get a cheap USB keyboard+mouse for about £10, but that's still more than half the cost of a Pi A/A+. However, on the model B series, you don't actually need to use any of the USB ports for KB/Mouse as the Pi can be controlled from a 'Terminal Window' on a PC, via the Ethernet connection. On the B, due to USB/Network contention issues (see later), a directly connected Keyboard / Mouse can (does) suffer from 'jitter' (missed and repeated keys, jumping mouse cursor etc) any time you use the Ethernet (or any other USB device). One other 'user control input' is provided = the HDMI 'CEC'** protocol over a bi-directional HDMI cable. **HDMI CEC is also known as Easylink, Vierra Link, BRAVIA Sync, Anynet+, etc. This allows the Pi to be used as a sort of 'multi-media' system (as it is capable of 'understanding' the 'TV remote control' button pushes). This option was not available at 'launch' = it took about 3 years before the display became available. The Pi does not support 'older' computer monitors at all. These all use the 15pin analogue VGA connector - although if your 'old' computer display is slightly more modern it may (also) have a digital DVI socket allowing you to use a simple HDMI to DVI adapter. When the Pi was being designed, during the 4 years prior to it's initial release in Feb 2012, the SVGA socket was 'common' and HDMI the 'brand new' connection. Indeed, at that time computer displays where moving to DVI, not HDMI at all. The /boot/config.txt file is one that's held in the FAT32 partition of the Jessie distro. Since your Windows PC can ';see' the FAT32 files, you can edit config.txt (and cmdline.txt) before booting the Pi. This lets you choose a different HDMI display resolution tot he default (in the event that your display can't cope with half-HD). A basic 'HDMI to VGA converter' will set you back less than &pound;5 (from eBay) - note you need a 'converter' (from digital HDMI to analogue VGA) and NOT an 'adapter' (which has no conversion circuits inside). **Whilst the GPU will handle H264 video data streams just fine, it seems that the 'surround sound' is another matter, especially as the AC3 / DTS 'licence owners' seem to have no interest in selling the DTS licence needed for 'legal' DTS (surround sound) decode by the GPU. So whilst you can play movies using the Pi, by default the audio is likely to be 'down-mixed' to stereo, although it IS possible to set 'HDMI audio pass through mode', ie. send the encoded AC3/DTS to the HDMI display (in /boot/config.txt set hdmi_force_edid_audio=1). Note that the 'default' for HDMI (which is what you will get when you attach a HDMI to VGA converter) is for the 'sender' (Pi) to 'decode' (i.e down mix to stereo) the audio data stream (your cheap HDMI-VGA converter is not going to include a real 5.1 decoder anyway). This note last modified: 29th May 2018 14:36. 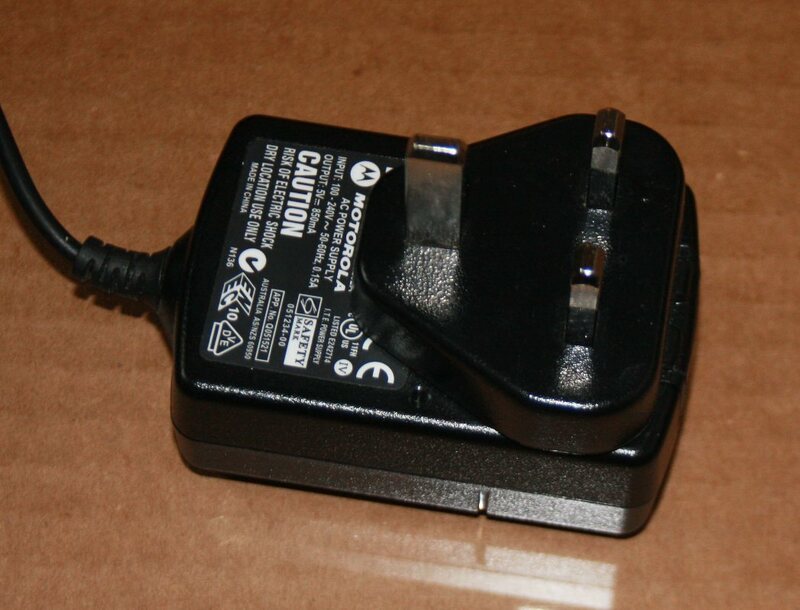 Power connection is via a micro-USB connector, the declared 'intent' being to 'allow the use of old mobile phone chargers'. The problem with this is that 'old' mobile phones never had micro-USB = they all came with either mini-USB or some 'custom' connector ! The plain fact is that a 'bare' (i.e. unsupported by any case) PCB mounted micro-USB socket is totally unsuitable as a 'multi-use' power connection anyway. It is literally a disaster waiting to happen - after only a few dozen inserts/removals the socket housing is so deformed that the power cable will just fall out under it's own weight. The decision to offer micro-USB 'only' thus seems perverse = at the very least they could have provided extra 'lands' (at zero cost) near the edge of the PCB, near the 'power input' plug position, so that the hobbyist could at least solder on a standard 'barrel' type connector. Better would have been a couple of holes to allow +5v / Gnd wires to be soldered direct to the PCB (we had to wait for the Pi Zero for this). My experience with the Pi is that a loose power socket is one of the main causes of Pi 'random resets'. After only a few dozen uses the power connection becomes intermittent - soon the only way to stop the power plug just falling out under it's own weight is to add elastic bands to keep it in ! 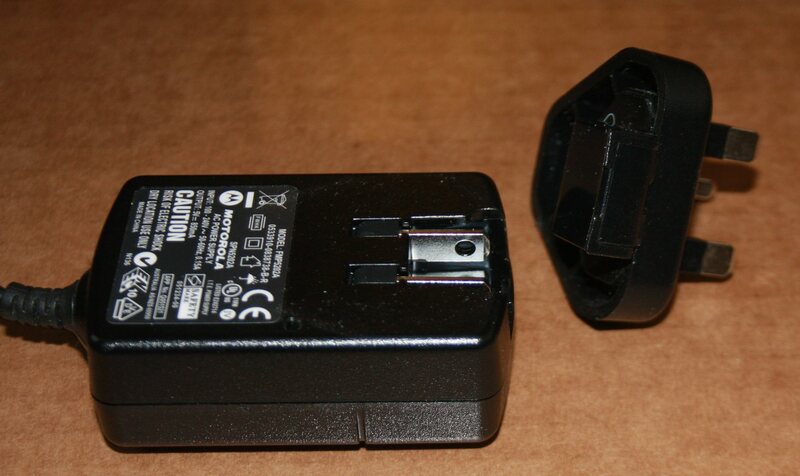 In fact, it seems some users have become so aggressive with the power plug that they ended up breaking off the socket (this is not just a Pi problem = modern tablets and smart phones use the same socket and, despite the added mechanical support of their plastic cases, suffer from the same breaking off ...). In short, the micro-USB socket is totally unsuitable for any sort of frequent or long term usage - and what really kills it is the lack of any 'Reset' or any sort of separate 'power off' switch on the Pi, so frequent use is inevitable ! ** Although, much to the annoyance of the battery based hobby user, is the fact that the 'sleep' (or software 'off') power consumption is not much lower. If you expect this to be 'near zero' you are in for a shock - the Pi has no control over the power supplied to USB plug-in devices (as noted below, the incoming +5v is wired, via a reverse protection diode, 'direct' to the USB +5v), so whilst the CPU may be 'sleeping' the USB devices will still be fully powered up ! Whilst modern phone chargers are indeed all micro-USB, modern phones use a lot less power, so the chances of finding 'an old modern phone charger' at anything over 500mA, let alone the 1A you need, are effectively zero. In fact, the only 'old phone charger' that's going to 'do the job' would be those for the first generation of 'smart phones' (eg Blackberry, HTC) or for a early 'tablet' computer, such as the power adapter intended for the Kindle (but make sure it's not one of the very early 0.85A 4.9v ones). Few of these are likely to be found 'sitting around' waiting to be re-used in schools. This, however, is not the end of the power issue. Whilst the Pi's main chip runs on 3.3v and the Pi has 3 'on-board' regulators (3.3v, 2.5v and 1.8v), the one thing that really does require 5v are the USB outputs - which means you really do need to supply 5.2v (but not more since the 'over voltage protection' (a Zener diode) will 'cut in' to limit the on-board voltage to 5v !) especially if you intend to plug in just about anything to the USB except a keyboard/mouse (see USB issues later). Of course if you don't need USB (or only ever use a self powered USB hub) you can 'get away with' a 4.8v (or even lower) supply. Even if you manage to find 'an old old phone charger' that can supply sufficient current at no less than 5.0v, it will inevitably come with either a mini-USB or (more typically) some sort of 'proprietary' plug. Those with a suitable 'old' charger may find a 'mini-USB to micro-USB' adapter on eBay for 99p - however if you are using a charger with a proprietary plug (that has to be cut off) you have no choice but to solder the wires directly to the Pi (as micro-USB cable plugs with 'solder tags' didn't exist in 2012, although you can now purchase a micro-USB 'insert' adapter designed to fit inside a standard USB socket device and to which it would be possible to solder wires). The +5v can go to the underside of the board and be soldered to the tab of F3 near the edge of the PCB, whilst the Gnd can go to the C6 pad also near the PCB edge (so, if you are careful, it might even be possible to solder a micro-round pin power socket to these pads). [Note that the B+ has a 2A input fuse followed by a DMG2305UX (a clever semiconductor based 'reverse protection' device - for an explanation, see here) which 'drops' less than 0.1v at 2A (a normal diode wold 'drip' a lot more). Others can be found, however check if they are equipped with a micro-USB connector (the Motorola one shown above has a mini-USB plug NOT micro-USB - further, although it's 'rated' at 850mA, in practice it could not even manage 4.8v at the current needed to drive a model A Pi (I know, I tried :-( ). Most Blackberry/HTC chargers (approx cost £10 bay - although Amazon has started selling the first class 2A Blackberry charger at less than £4 !) are of that type. If your adapter has fixed UK power plug pins, and you need to get the height down, you can (of course) chop them off and solder a mains cable directly to the 'stumps' ! Instead the Pi's designers have chosen an Ethernet socket with internal circuitry that shorts pin 4 to 5 and pin 7 to 8 (so far so good) but then feeds them via some sort of internal resistor / capacitor circuit into the 10/100 receiver transfer circuit (see page 3 of the Pi circuit diagram). On the Model A/A+ and Zero the SOC drives the single USB socket 'direct'. On the model B, the SOC port is wired to an on-board LAN9512 chip (it has 3 ports = dual USB + an Ethernet), whilst the B+/B2 uses the LAN9514 chip (5 port = 4 USB + Ethernet). All USB i/o is driven (by software, byte at a time) via the SOC i/o 'bus' which has a theoretical limit of 60 Mbytes/s (480 Mbits/s). A single USB 2.0 port running at maximum throughput (280 Mbits/s) would consume over half (36 Mbytes/s) of this, although 'real world' tests on the Model A (with it's single USB port) shows that the actual max. data rate supported is closer to 30 Mbytes/s (240 Mbits/s) - which implies at least 10% software overhead in handling USB data. Fortunately, Ethernet is (relatively) immune to data loss (since packets have to be 'acknowledged' and 'retransmit on error' is 'automatic') as are USB connected disk drives (which do work, but must have their own power supply - although on the B+/B2, you can 'get away' with powering a 2.5" hard drive via USB if the B+/B2 has a decent enough power supply). Thus, in practice, the only 'common' devices to suffer from 'lost' data are directly connected USB keyboard / mice ! Of course there are also some USB devices are unable to cope with any sort of 'pause' caused by a 're-transmit' or 'interruption' to a smooth data stream = most USB audio devices, for example (of which more later).. Despite the Ethernet/USB 'bottleneck', the Pi can play HD movies direct from a USB connected device (even a BD drive only needs 30 Mbits/s for HD) and has been successfully used as both a DLNA 'client' ('rendering' movies received on it's Ethernet port to it's HDMI output) and even as a 'DLNA Server' (streaming HD movies from a USB connected device to it's Ethernet port). This is can be achieved because the GPU is handling all the complex h264 decoding etc. allowing the ARM CPU core to dedicate itself to nothing but actual data i/o. Note that playing audio / video off the SDHC card is also possible. Even the low end 'class 4' (4 Mbytes/s) device can deliver a maximum of 32 Mbits/s, which is just within the 30mbs required to support full HD. It is plainly impossible to deliver 5.0v to the USB output sockets from a 5.0v input when the path from the Pi power input to the USB output was designed with 2 'poly-fuses' and a reverse protection diode 'in the way'. The polyfuse for each USB socket (F1, F2, replaced from August 25 2012 with wire links) was only rated at 140mA, whilst the 'reverse protection' diodes (still in place) are rated at 200mA. (3) beef-up the Pi's on-board ability to deliver sudden current surges - replace the input capacitor (C6, next to the micro-usb power connector) with a 1,000uF electrolytic capacitor (rated at least 6v) AND add a "low ESR" capacitor of 100uF (or more) rated at 6v across the USB socket power output pins (i.e. in parallel with C32). Needless to say, I ended up with such a good power supply that the Pi refused to 'crash' ! To solve this, I had to fit a Reset switch (and mark it 'Load from USB' :-) ). WARNING - if you are running an application that 'saves' to the SDHC, the Pi could actually be writing to the SDHC card when it is 'hard reset' and you then risk corrupting the SDHC - in that case, wire your 'reset' switch to a GPIO pin instead of the 'Reset' pin (and have the Pi software reset itself). Note that with the B+ and later, a dedicated Hot-plug voltage generator chip sits between the Pi power in and the USB sockets (so the B+/A+/B2 (and Zero ?) should not suffer from 'drop-outs'). As with all add-on USB 'dongles' for the Pi, you need to chose one that has DRIVERS that will work with the Pi. This means sticking to the list of peripherals known to work with the Pi. No matter what the 'brand name', most will be made in China. However, as you will see from this list, there are a lot of problems with 'Chinese copies' of 'brand name' devices that may look the same but incorporate different (presumably cheaper) chip-sets. I suggest you buy from CPC, Amazon etc. rather than eBay (yes, even Amazon gets 'caught out' occasionally but at least you can send a non-working one straight back). Audio output is either analogue stereo (via a standard 'headphone' 3.5mm jack socket (which connects via the analogue video socket on the B+) or digital 'surround sound' (via the HDMI connector, which is 'DRM protected' by closed source GPU code). In theory you could use 6 of the GOP i/o pins to output the required data steams = you 'only' need a binary (on/off) bit stream (so there's no fancy 'PWM' or filtering to ruin the data) - and at 48kHz with 16bit samples, that's only 768kbps per channel. On the B+, the SOC PWM is still used to generate the audio output - but now the PWM power supply pin is tracked to a dedicated power supply rail, which means it's completely clear of digital feed through. Apparently there is also a 'dedicated output driver' (i.e. the closed source GPU code has, at last, been fixed although it remains to be seen if this also improves existing A & B board audio). The analogue stereo jack output on the A/B is driven from a software controlled PWM running at around 40MHz, which is then low-pass-filtered & capacitively decoupled to the 3.5mm jack socket. The result is equivalent to a 'low resolution' D-A converter of 10 (or perhaps 11) bits at most. There were all sorts of audio problems on first release. For example, if the software driver releases the GPU i/o pin (at the end of a music track), the Broadcom firmware sets the output 'Lo' (0v) discharging the decoupling capacitor (and causing a 'pop'). To eliminate the start up crack, a firmware change was made in Feb 2013 to start the PWM at 0% duty cycle and gradually ramp it up to 50%. However it seems that this change only worked when using 'aplay', and then only if the audio being played was 48kHz, 16bit signed little-endian. Other audio formats still started with a loud 'crack' as did other software (such as 'omxplayer', which gave three 'clicks' when starting to play a track via the analogue o/p). A further fix was implemented in March 2013, so the GPU firmware does not 'turn off' the pin at all (just do "sudo rpi-update" to get the latest micro-code). The first track played after power-on still starts with a 'crack', however there are no start (or end) pops, clicks or cracks after that. In most cases, this is actually being 'caused' by the power-supply - a phone charger that was never designed to support sudden changes in load nor to supply perfectly 'clean' power. As a result, 'hum' can 'leak in' and, as soon as any USB device starts operating, the 'instantaneous' voltage can wander about 'all over the place'. So isolating the USB devices (by using a powered hub and removing the 5v power at the Pi USB socket to prevent any possibility of the Pi driving a USB device) can make a real difference to stereo 'audio out' quality ! The HDMI output is driven by the closed source GPU core code. I believe that only AC3 or DTS audio are supported, and then only if you specifically select 'pass through' to HDMI (i.e everything else is down-mixed to 2Ch PCM stereo before being output to HDMI). Unfortunately, due to DRM (Digital Rights Management) restrictions on the GPU core code, it is (currently) impossible to 'divert' (or copy) the digital surround sound audio away from the HDMI output to some other i/o pins  = so those thinking of fitting SPDIF to the i/o pins (to get 5.1 audio) will be disappointed (but see USB Audio, later). **Don't assume that HDMI is immune from audio issues. The audio quality from the HDMI output is very much a function of the software - audio distortion during h264 HD video playback is/was a real issue with 'omxplayer' where-as the 'XBMC' software always coped OK. Note that: many of the cheaper 'HDMI to VGA' devices will NOT support 'arbitrary' display resolutions - sometimes the (Chinese) suppliers will state 'not support 1280x800' (which will provide a hint of resolution restrictions), sometimes not. Especially note that many HDMI to VGA 'converters' do not support older '4:3' 800x600 VGA monitors from 16x9 feed (of course, after boot-up, you can get the Pi to send whatever resolutions you like, including 800x600, down the HDMI line). Further there is a quality issue. The only real solution for those wanting to use the Pi as a CD quality stereo 'music system' is to output via a 'class compliant' USB Audio device (such as the Creative Soundblaster Play). Even on eBay, USB audio devices are quite expensive (approx £20) and any that require a Windows/Mac driver will not be 'class compliant' (so won't be usable unless you write your own Linux device driver :-) ). Even so, it should be possible to build a CD ripper / store / player with similar functionality to the Vortexbox NAS Appliance for less than 1/3rd the price ! An audio CD holds 16 bits per channel at 44100kHz, giving a data rate of (16x2x44100 =) 1.4 Mbs (Megabits per second). USB 2 supports an effective throughput of 280 Mbs, so there should be no problem both reading from a CD and writing to a audio output device. However, all i/o has to share the same 'path' on & off the GPU chip and this can lead to 'skips' and 'jitters' as the overhead of 'serving' one device / path impacts the 'smoothness' of data transfer on all the others. The memory is fixed ('bonded' to the top of the ARM/GPU chip package), with no possibility of expansion. The model A/A+ has 256Mb, the B/B+/Zero has 512Mb and the B2/3 has 1Gb. A better choice might have been to fit one or (better) two laptop memory SODIMM type 'sockets' thus allowing the re-use old laptop RAM SoDIMMs. The Raspbian Operating System core is quite 'small' (the 'Wheezy' core code itself runs in about 16Mb of RAM) and (so far) no-one has ever complained that they can't fit their applications within the available RAM. However with the advent of the Pi camera this is going to change. In still picture mode you can get 15 frames per second and 5m Pixels LUV is 7.5mb/frame. This generates 112.5Mb/s and the only place it can go is into RAM, so you only have room for a second or two before running out of RAM (even offloading to a Class10 SDHC at 20Mb/s will not solve the problem). Current Pi system software implements the Microsoft trick of using a 'swap file' to make the limited RAM go further (apparently no-one has warned the coders that SDHC cards have 'write lifetime limits'). On the other hand, Linux 'tmpfs' allows you to create a 'RAM Disk' at any 'path' (directory/folder) you choose and treat that as a 'normal' file system (so you can off-load your own applications continuous write requirements to RAM). The Pi really needs at least a 4Gb SD card - and these are not 'obsolete' - where-as CF cards are (almost). Further, the CF card 'interface' is essentially the same as the old IDE hard drive (which can be found in almost any old laptop and inside many 'USB' external drive enclosures). SD cards have a 'write lifetime limit', however these are high enough to be ignored when writing files (SDHC cards are typically specified to 1,000,000 writes) and the operating system has been configured to minimise writes (some 'journaling' file systems update the directory with 'last access times' every time any file is read and 'log' files are constantly being written - however it IS possible to disable almost all writes (and re-direct the rest to tmpfs) and thus set the SDHC to 'read only'). Whilst the Pi used to be very 'picky' about which make of SD card you used, it now accepts (almost) any. Tests have been done with SD cards up to 32Gb and (some) class 10 cards that can achieve almost 20 Mbytes/s ! Note. The A/B Pi only supports SD cards using the 3.3v interface standard. Most class 10 cards attempt to switch to 1.8v before running at their 'rated' 10Mbytes/s speed** = when ignored, many will 'revert' to half this, so this means that, in effect, the maximum speed SD card speed 'guaranteed' to be supported is 'class 8' (8 Mbytes/s, although you will be lucky to find anything other than 4, 6 or 10)..
Further, the initial release ('v1') circuit boards had no 'Reset' capability - only those with v2 PCB's shipped from Nov. 2012 have the option of fitting a Reset button (which means you can recover from a 'crashed system' without having to pull the power plug, although the SD card can still be corrupted if the Pi is running software that performs write operations to the SD card - and you happen to reset just as a write is being performed). Given the intended use (education) it seems inconceivable that no provision was made to 'reset' a 'locked up' system, and it is  ESPECIALLY annoying that the 'system core' makes no use of the built in 'Watch Dog' timer hardware ! The 'recommended' way to 'back-up' your Pi system is to use the Win32 Disk Imager to create an 'image' of the SD card on your PC (i.e. remove the SDHC from the Pi and plug it into a PC SDHC reader). Whilst this 'works', chances are you will not be able to restore the image to another 'same sized' SDHC card ! Backing up turned out to be such a 'bag of worms' that I now dedicate a whole page to it ! The original 26way i/o 0.1" pin header 'exposed' only 8 'general purpose' i/o pins and a pair (Rx/Tx) of 'serial link' pins (from the basic built-in UART) plus a few other 'dedicated' pins plus +5v, 3.3v and Gnd. Bare pins 'stick up' from the board are just waiting to be 'shorted out' or pick up a GPU blowing static discharge from the first accidental touch. This one insane trick alone will ensure very few Pi's survive their first encounter with the average 'school kid'. The number of i/o pins was increased on the 'release 2' boards (holes were added to the PCB allowing an 8 pin header to be fitted) and again on the B+ (it combines the 24+8 into a new 40pin header). The CSI add-on Camera option was released in mid 2013. The Hobbyist has access the 'driver' binaries which expose many of the Pi camera modes, although most will use the command line camera utilities (raspistill etc.). Further, when the Pi Zero was initially launched, it came without a CSI port. Not that this was of much concern since so few Pi Zero's were available for the first 6 months anyway. The Pi Zero v1.3 (May 2016) came with a CSI port but the smaller size meant a replacement ribbon cable was needed for the camera - for which the distributors could charge the same price as the Pi Zero itself ! This is the one area where the Pi Foundation 'got it right' from day 1, with a basic Debian Wheezy release of Linux and literally thousands of pre-compiled utilities and tools (and even games). These days all manor of versions of Debian are available, both in CLI and GUI mode, along with a whole host of alternatives. All can be downloaded as SDHC card 'images' and 'burnt' using a PC or MAC. The simplest CLI package for the DIY user is likely Jessie Lite. This is a 300Mb download / 1Gb+ install and only requires a 4Gb SDHC card (cost about £1) as a minimum. When it comes to software, you are literally 'spoilt for choice', both when choosing your system software - there is even a version ('NOOBS') that allows you to choose a system on first power-up - and choosing utilities tools and applications that will do what you want ! One of the most powerful features of the Pi is that you can find a host of utilities and tools to do almost anything you can think of. Indeed, in many cases all that's required is to pt together a shell script 'harness' to link the components together and it's 'job done' ! Getting HiFi stereo audio out means using an I2C 'hat' (such as the 'pHAT-DAC') which can be found for about £12. It is worth noting that most 'streaming music' web sites uses heavy encryption, and the Pi Zero in particular has problems keeping up. If we pay for the mpeg-2 and VC-1 licences, and add a powered 4 port hub and USB CD/DVD drive, the Pi starts to look like a multi-media player - and, if your HDMI display includes it's own surround sound system, you can indeed get pretty close to a full blown multi-media player ! You can use the Internet as a media 'source' (as well as add DLNA/uPnP) = you don't even need a B+/B2/B, a Zero / A+ with a USB WiFi dongle or USB-Ethernet dongle will do the job just fine). Sites like YouTube will 'play' direct, and you can even get iPlayer for the Pi ! What a Pi can't do is play commercial DVD's or BD (BluRay) discs. There is no problem with data rates or codecs (they are all mpeg3, VC-1 or h264), it's the 'anti-piracy' disc encryption used to impose 'region control' and enforce the viewing of adverts, including the 'anti-piracy' warnings (and all of which garbage the 'pirate' removes thus producing a more desirable and consumer friendly product) that the Pi can't cope with. So if you remove the encryption and burn a DVD/BD disc, this would play back just fine (from a USB drive directly attached to the Pi). If you want to play back direct from an original DVD/BD disc, the 'path' is via your home network (i.e. playback on the PC decrypts the movie and sends it to the Pi, with the PC as a uPnP DLNA Server and the Pi acting as the 'display' destination (DLNA uPnP 'client')). This page last modified: 29th May 2018 14:35. Page Clicks to date: 3. User 54.90.86.231 @ ec2-54-90-86-231.compute-1.amazonaws.com.